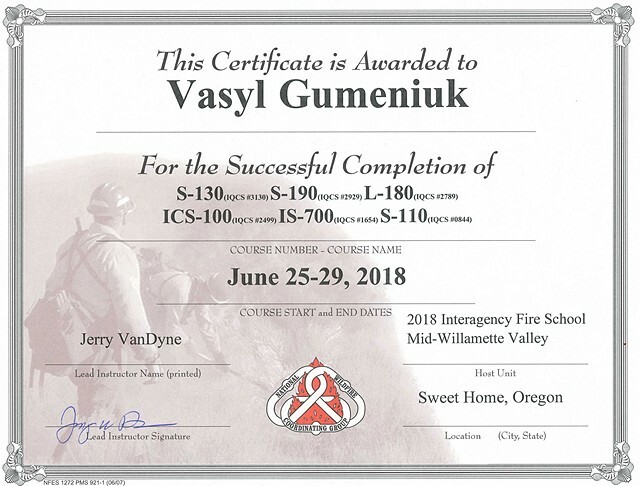 Between June 23 and June 29, 2018, Vasyl Gumeniuk, a co-worker of Regional Eastern Europe Fire Monitoring Centre, a teacher of Forestry Department of NUBiP of Ukraine, was training in a special training center for firefighters, located in Sweet Home, USA. 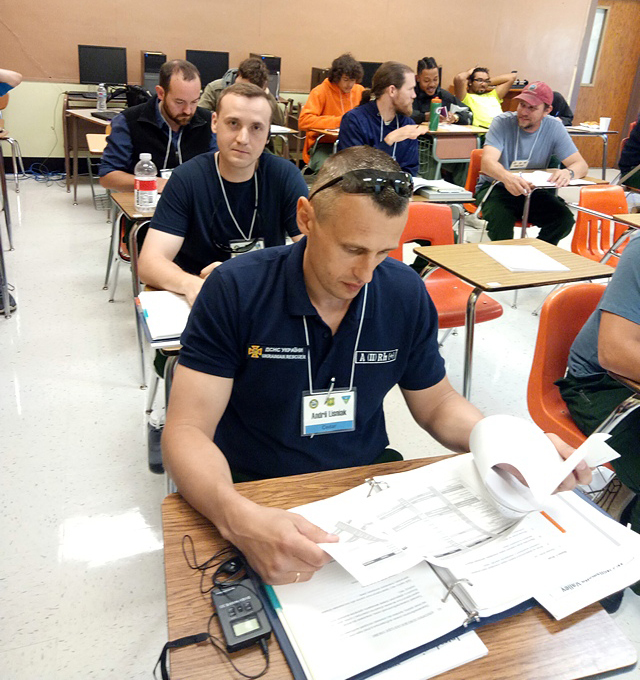 The course had been organized and supported financially by the US Forest Service Department of International Programs. 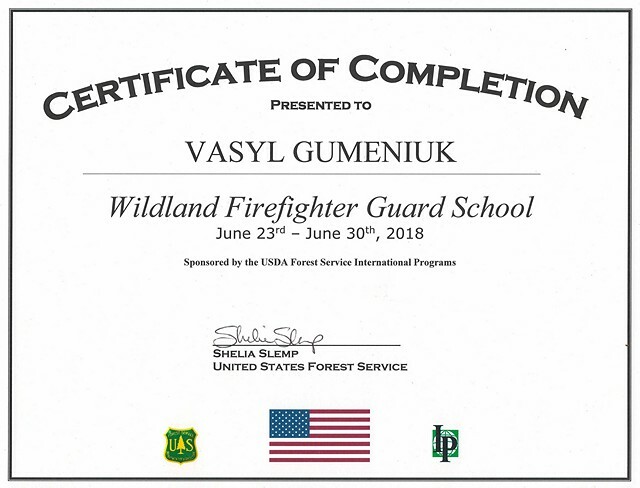 The purpose of the training was to use the experience of theoretical and practical training of firefighters at the elementary level obtained during the training in the United States for the forest firefighters and regional instructors for preparing the firefighting managers in Ukraine. 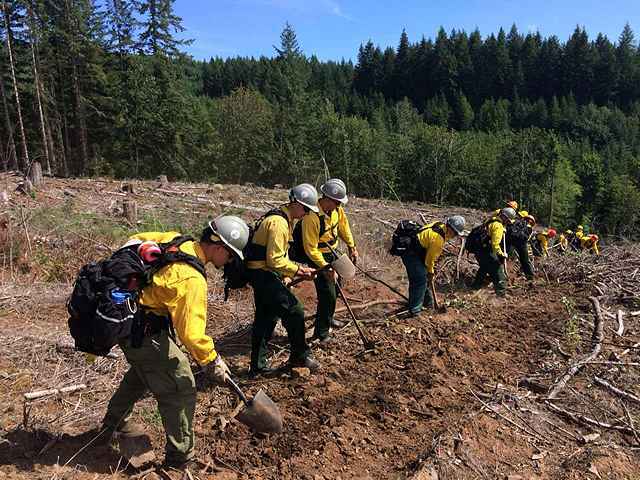 In total, about 200 people participated in the training, aged between 19 and 36 from Oregon, who decided to take up the profession of forest firefighter. 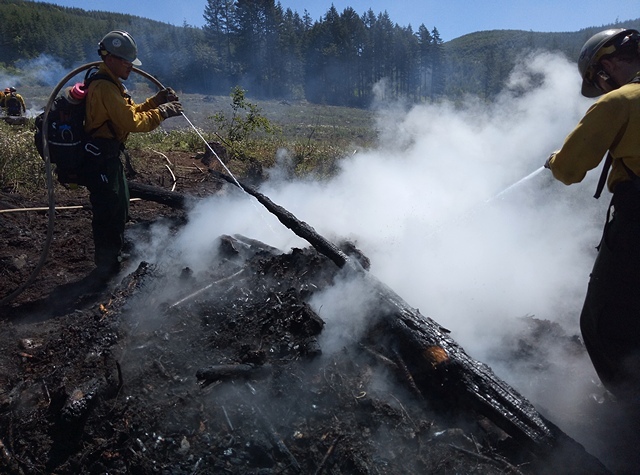 They gained theoretical knowledge and practical experience in the fire extinguishing. 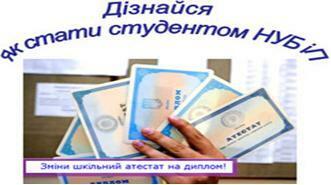 Two representatives from Ukraine took part in the training. They are Vasyl Gumeniuk, an assistant professor of Forestry Department of Education and Research Institute of Forestry and Park Gardening of NUBiP of Ukraine, a member of the Regional East European Fire Monitoring Center, and Andriy Lisnyak, head of Department of Fire Tactics and Emergency Rescue Works of the National University of Civil Protection of Ukraine (Kharkiv). 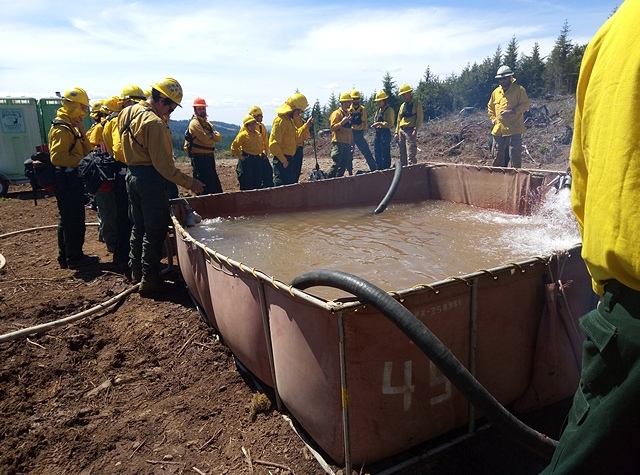 The training in the center was held according to the peculiarities of the developed program of training forest firefighters in conditions close to real ones. 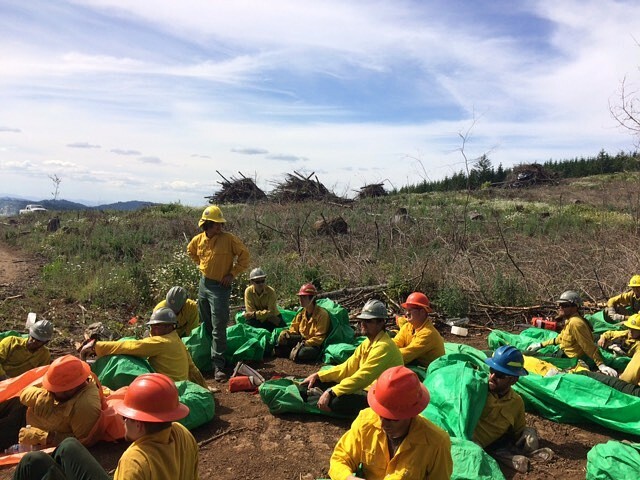 According to this program, all participants were divided into fire teams, 20 people in each, and resettled in tents. Every day from 8.30 a.m. to 12 p.m. there were lecture classes with instructors; from 1 p.m. to 5 p.m. there were field trainings, during which everyone obtained experience in working with hand tools, machinery and other fire extinguishing equipment, and also worked out coordinated work in the team and skills in creating fire barriers; from 6.30 p.m. to 8 p.m. there were additional lecture classes. Furthermore, one of the compulsory training tasks was to pass the exam in PE - Pack test - Arduous, which required passing a distance of 4.8 km with the equipment total weight of 23 kg in 45 minutes. 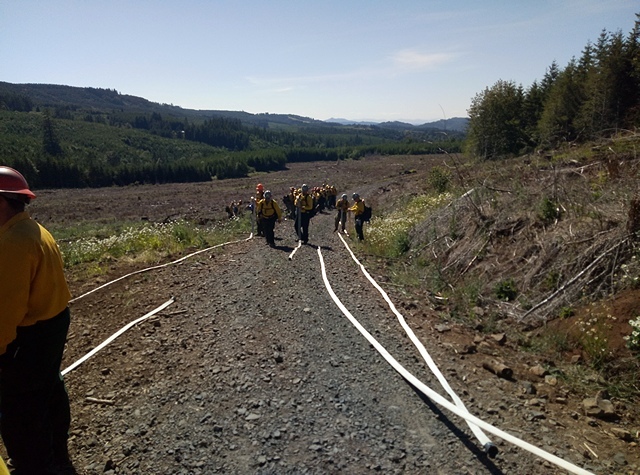 After successfully completing all theoretical, practical and physical training tests, the fire brigade was allowed to take the final team exam, which required extinguishing real grass fire in the forest. 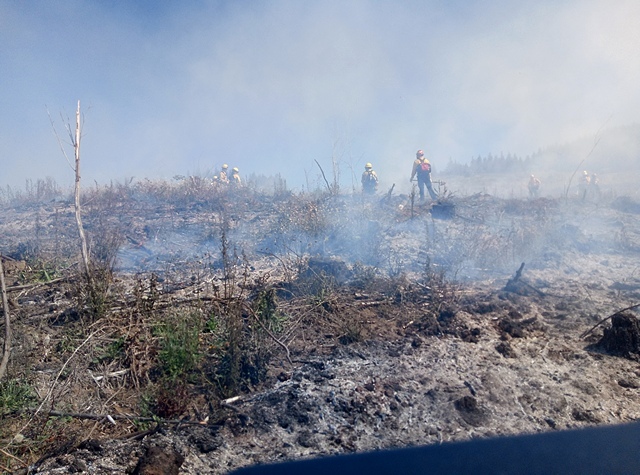 The work of the fire brigades and the extinguishing process were supervised by instructors and the media. 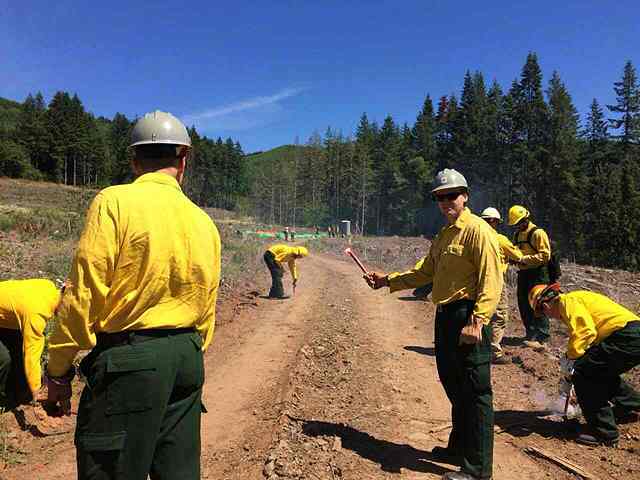 By the way, the correct work with the media is also included in the professional duties of the firefighter (see the interview by the link: https://nbc16.com/news/local/new-wildland-firefighters-practice-craft-in-oregon-with-visitors-from-ukraine). 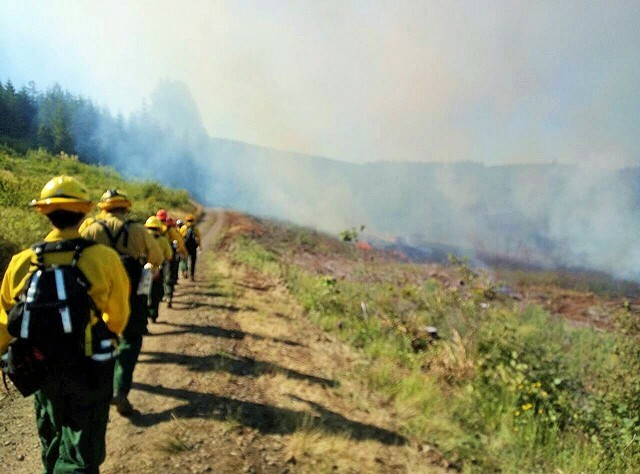 After extinguishing the fire, doing all the operational tactical tasks and all measures for the final elimination of the fire, the participants received certificates of successful completion of the course and got the permission to work as a firefighter of the second type (FF2) in any state of the United States.